Slip, trip, and fall risks are one of the biggest concerns in different industrial—even commercial—facilities in the U.S. According to the National Floor Safety Institute, 8 million hospital visits every year are because of falls. These incidents result in people obtaining injuries and having to take a leave from work, delaying production. That’s why the federal government requires all kinds of industrial facilities, including food production, to adhere to rigid standards when it comes to workplace safety — one element of which is a facility’s flooring. 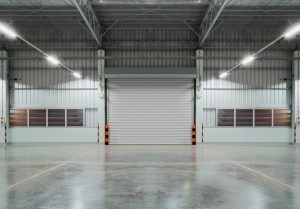 If you have a food production business and your facility is in need of an overhaul, here are some things you should consider when choosing the kind of flooring you need to install. The prevention of slip and fall risks should be one of the most important factors when choosing your flooring. Floors that are slip-resistant help reduce the cost of operations. Without any slip and fall incidents, there’s no need for related medical expenses. What’s more, safe working environment for you and your employees increases your facility’s productivity. No emergencies mean no disruptions in the workflow. Essentially, slip-resistant floors protect the reputation of your business. According to Bowers Industrial Coatings and Linings, a leader in industrial coating solutions, the most important factors for food and beverage facilities’ floors are safety, durability, and sanitation. Floors in food production facilities are often exposed to byproducts like fats, oils, and blood. Sugar solutions, food acids, and other chemicals also spill on the floor. Some of these substances have corrosive property and can cause serious damage to concrete. One of the measurements of surface cleanliness in food production is the ISO 22196. It specifies the methods of evaluating antibacterial-treated surfaces, helping you make sure your floors and other surfaces are free of, or at least have minimal, contamination risks. You might not think floors cause direct hygiene problems, but in 2011, unhygienic floor conditions played a key role in the Listeria outbreak in cantaloupes from Jensen Farms. This incident led to 33 fatalities and 142 hospitalized victims. Now that you know the key considerations when deciding about your food production facility’s flooring, you should now consider the floor’s coating. Different kinds of floor coating fulfill a number of requirements. Epoxies, for one, can be blended with marble, quartz, or cement floors. This coating offers the benefit of withstanding abrasive cleaning procedures and is compatible with anti-slip additives. Urethanes are another option that’s popular in the food industry. Urethane floor surfaces are easy to clean and is durable. Methyl methacrylate coatings, meanwhile, are easy to apply and are low in odor, reducing the risk of unpleasant taste or smell to transfer to food products being processed. Finally, polyureas make for impact-resistant floor coatings. Polyureas are formulated with no volatile organic compounds (VOCs), are odorless, and provide a seamless surface. The last quality is particularly important because seamless and impervious surfaces minimize the buildup of germs that you can otherwise find in between surfaces with gaps or cracks. Food production is a delicate and meticulous process that needs stringent hygiene maintenance. As food manufacturing challenges evolve, so too are the cleanliness standards that businesses are required to meet. This is to ensure that contaminants and harmful bacteria don’t mix into the food and to give manufacturing employees a safe space to do their job.